Founded by Emperor Genghis Khan, ruler of the largest contiguous Empire known to mankind, Mongolia is one of the last patches of unspoiled beauty left on this planet. A landlocked country perched between the hot Gobi Dessert in the south and cold mountains in the north and west, Mongolia is the quintessential travel destination for those who dare to stray off the beaten path. Home to more horses than people, Mongolia is a meagerly populated country whose landscape is dominated by cold, windy steppes and high altitude desert. Mongolia has the lowest population density in the world. Nearly 40% of the population lives in the capital Ulaanbaatar while the rest lead a nomadic life herding livestock over the vast meadows of the country. Mongolia has experienced rapid urbanization since the 1950s when only about 20 percent of people resided in urban areas. From a historical pre-dominance of nomadic and rural habitats, Mongolia is now overwhelmingly urban with 68 percent of the total population living in cities and towns, much higher than the Asian regional average. Population increasing at an annual rate of more than 4 percent since 2000, Ulaanbaatar dominates the urban landscape of Mongolia. Unplanned growth of the capital city and rapid migration have brought many challenges, including increase of construction, economic growth and also unemployment, traffic congestion, air pollution, and the expansion of the ger areas. More than 60 percent of Ulaanbaatar’s population lives in ger areas that are often built on or along sites prone to natural disasters, lacking access to modern infrastructure such as piped water, sanitation, electricity, paved roads, public transportation, health clinics and schools. 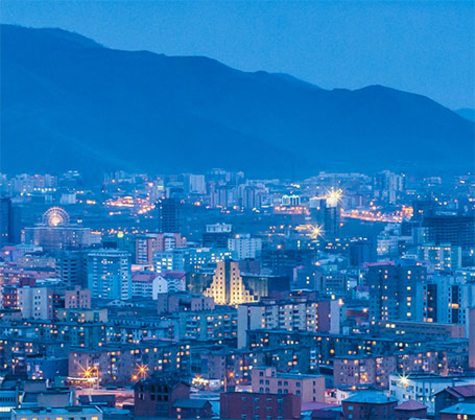 Based on this need, real estate in Ulaanbaatar is currently in high demand.